« Day 32 in Beijing: What You Can Buy For $2.50 American Dollars In Beijing. I speak English. Well, Western American English. I speak a little Spanish. Well, a little Northern Mexican Spanish. I speak a very little Mandarin. Well, 5 words of Beijing Mandarin. 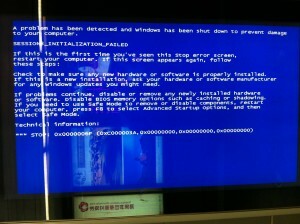 There are electronic billboards all over the subways of Beijing. They usually work very well and are quite entertaining. And, usually, I have no idea what they are promoting because I can’t read Chinese at all. There is a universal language. 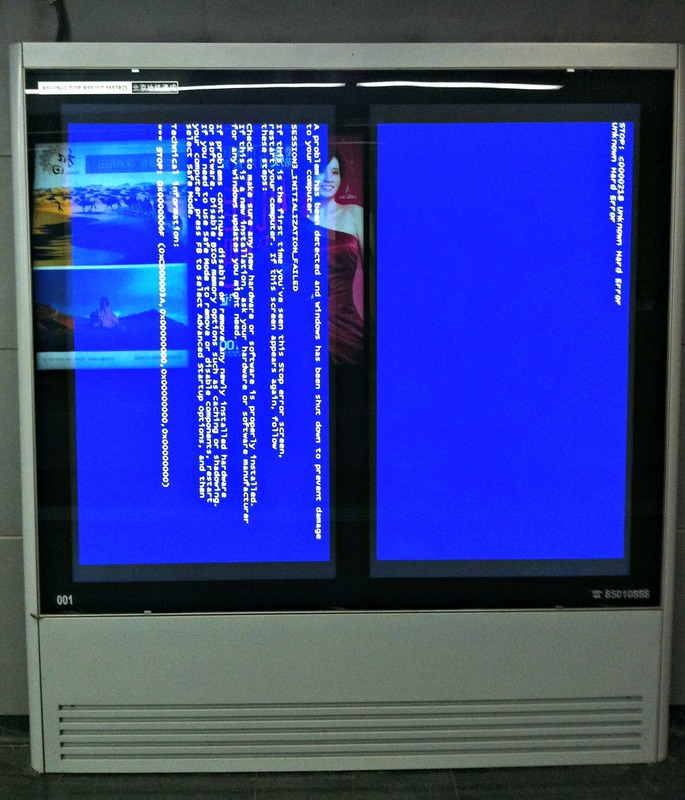 It is called the Blue Screen of Microsoft. 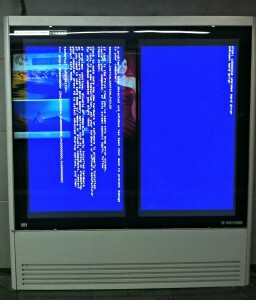 Notice the reflection of a working electronic billboard on the Microsoft Blue Screen. That is how it is supposed to work. 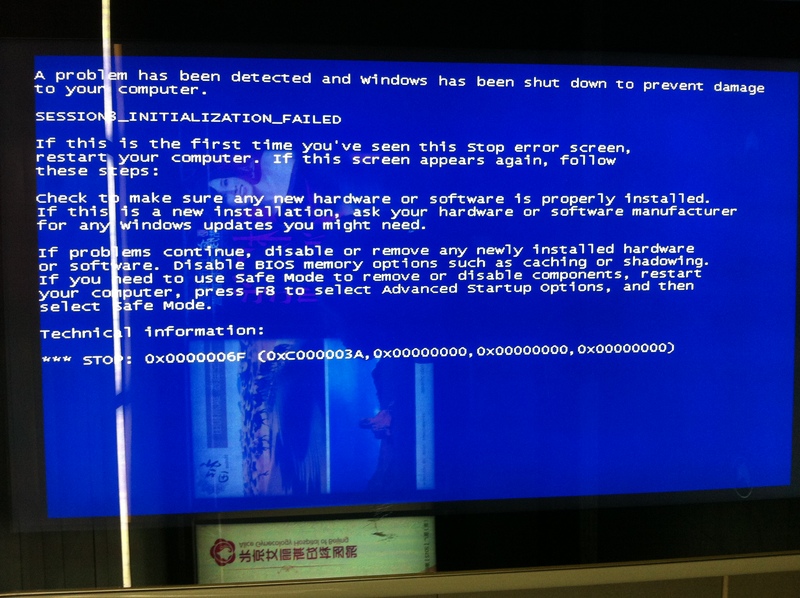 The Universal Language: Everyone, everywhere can read Microsoft Blue Screen.